To fix a Wi-Fi (or wireless) problem, we'll consider tips to optimize wireless signals. Once that's done, we'll ensure that Wi-Fi is enabled and that, if there's a physical switch, it is in the 'on' position. Next, we'll check if there's a problem between the laptop and the router. If that doesn't fix the problem, we'll consider the software (or driver) on the computer. If the driver doesn't solve the problem, we'll move on to checking the system of the laptop. As a last resort, we'll perform a system recovery if needed. The first thing you should do is consider these tips to optimize wireless signal. Walls, floor, and other large, solid objects can cause signal degradation if they're between your computer and your router. Try to minimize the number of walls, floors, and pieces of furniture between the two devices. A router's signal stability and strength can degrade as it gets older. If it's been a long time since you've installed your router, consider replacing it. Routers can operate on different channels. If there are a lot of devices on one channel, there can be interference that causes the signal to be weaker. Conside changing the channel on which the router is broadcasting to one with less usage. This is usually for advanced users. 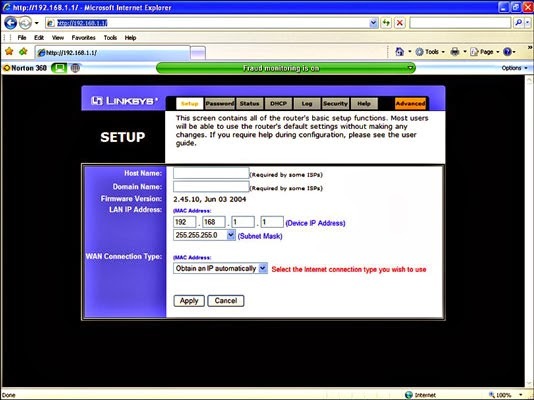 To find out how to do this on your router, consult your router's owner's manual, contact the router's manufacturer, or contact your Internet service provider if your ISP provided your router. To begin, we'll start with the simplest and quickest solution - ensuring that it's enabled. Some older laptops have a physical switch or toggle on the side or front that must be enabled to use Wi-Fi. Look for this on your laptop. If you see one, make sure it's toggled to the "on" position. If you don't have a physical switch, continue to the next step. Instead of a physical toggle, older laptops might have a touch-sensitive button on a strip above the keyboard that shows a picture of an antenna. If you have this, you'll want to ensure it's on by looking for the lit up picture. If it isn't lit, touch it to enable Wi-Fi. Not every laptop will have this strip. Wi-Fi must be enabled through software as well. Press the button with a picture of an antenna in the top of keys to toggle the Wi-Fi. You may also need to hold FN and press the button. If the "F" number is White and the image is Gray, you will press the Fn plus the button with the wireless icon. Example is Fn+F8. If the "F" number is Gray and the image is White, you will NOT NEED to press the Fn plus the button with the wireless icon. Example is F12. If that doesn't work, reinstalling Toshiba Value Added Package (TVAP) could help. Click here to learn how to find downloads. If turning on the wireless doesn't fix the problem, move on to the next section. Next we'll check the router to ensure the computer can connect correctly. If you don't have access to the router (for example, you might be using a public Wi-Fi network), you can skip this section. Locate your physical Wi-Fi router. Reconnect the router's power cord. Wait 5 minutes for the router to establish its connection to the Internet. If you still can't connect, try removing any security on the Wi-Fi network. If this is your home network but you don't know how to do this, try contacting your Internet service provider. If this fixes it, try using a different type of security if you wish to use a secured network. Previously we ensured the Wi-Fi was enabled. In this section, we checked the router. If the computer still won't connect, we'll continue to check the software on the computer. In this section, we will see if the software on the computer that controls the Wi-Fi, called the Wi-Fi driver, might have a problem. Try using System Restore to restore your computer to an earlier point in time when you could connect to Wi-Fi networks. To learn about System Restore in Windows 8, click here. Once the System Restore is completed, test the Wi-Fi again. If it still doesn't work, continue to the next step. We'll now check which version of Windows the computer is using. Hold the Windows key and press the 'x' key to open the administrative menu in the lower-left. Select "System." Next to "System type," note whether it says 64-bit or 32-bit. We'll now check which Wi-Fi card your system contains. Hold the Windows key and press the 'x' key again to open the administrative menu in the lower-left. Select "Device Manager." Make note of the one with "Wireless" in the name. It will likely contain either the word "Intel," "Realtek," "Broadcom," or "Atheros." Note which one it is. Now, download the latest driver for that Wi-Fi card from the support site. Click here to learn how to find downloads on the support site. Remember to select the version corresponding to the information you previously obtained from "System Information" and that contains the name of the network adapter obtained from "Device Manager." If this doesn't fix the Wi-Fi, we can assume it isn't a software (or driver) problem. Because we already checked that Wi-Fi is turned on and the router is okay, we'll move on to checking the system. In this section, we're going to perform a power cycle first to discharge any power in the computer. Don't worry; this will not cause you to lose any data on the computer. Then we'll reset the BIOS, or setup settings. This is are basic settings that contribute to how the computer functions. Both of these tasks are very easy to do. Disconnect all cables such as USB cables, printers, external monitors, and even power. If the battery is removeable, remove the battery. Hold down the power button for 30 seconds. Reattach the battery and AC power. Enter the system BIOS (UEFI). Press the key listed in the BIOS to reset the BIOS to default settings. This is usually F9. Save the changes and exit. This is usually done by pressing F10. Try performing a system reset, which returns your laptop to factory default conditions. If the problem persists after this point, you'll know it's not due to software. How to Fix Iphone WIFI Connectivity Issues? Some users have reported issues with slow speeds or trouble connecting to Wi-Fi networks with iPhone OS 3.0 and later firmware. iPhone owners who have jailbroken and/or unlocked their iPhones using blackra1n and blacksn0w have also reported problems. * Reset network settings. Touch Settings -> General -> Reset -> Reset Network Settings. * Still having problems? Touch Settings -> General -> Reset -> Reset All Settings. Warning: You will loose all of your preferences. * For YouTube problems on jailbroken iPhones try installing youtubeFix from Cydia or another package installer. - Connect your iPhone to the computer. - Under the Summary tab select Restore. - Select backup if you wish. When restoring as a new iPhone you will not use the backup. - When the process is complete the iPhone will restart. - When the Set Up You iPhone screen appears select Set up as a new iPhone. There are limited circumstances where iPhone 5 users are experiencing slow speeds or intermittent service when connected to Wi-Fi. There are two fixes that might help. * Entering manual DNS settings has been reported to help. Navigate to Settings -> Wi-Fi and touch the blue arrow next to your connected Wi-Fi network. Touch DNS and enter Google's DNS server address (either 8.8.4.4 or 8.8.8.8). Router compatibility issues could mean that WPA2 Personal W-Fi security is causing the problem. Switching to WEP security or removing password security altogether can improve Wi-Fi speeds and connectivity.